Camden Watch Company No253 253-144A is a functional and special Gents watch. Case is made out of Black Ion-plated Steel while the dial colour is Black. In regards to the water resistance, the watch has got a resistancy up to 50 metres. It means it can be submerged in water for periods, so can be used for swimming and fishing. It is not reccomended for high impact water sports. The watch is shipped with an original box and a guarantee from the manufacturer. Although based in the heart of London, The Camden Watch Company was founded by two people with strong ties to the world-renowned timepiece industry of Switzerland. Swiss trained Anneke Short and Swiss native Jerome Robert established The Camden Watch Company to celebrate the rich history of area and reflect it in dynamic watches suitable for every aspect of life in modern day London. The steel cases protect dials that span the history of the wristwatch, encompassing classic roman numerals, distinctive bold typefaces and sleek, contemporary numberless designs, while the straps are made of genuine stitched leather and durable woven fabric to keep the watch stylish and secure without compromising on comfort. Short and Robert have invested all of their extensive industry knowledge into these watches, from the initial design and production to the supply chain and even the market place, taking pride in providing high quality watches at realistic prices. Watch Shop is an authorised Camden Watch Company stockist. 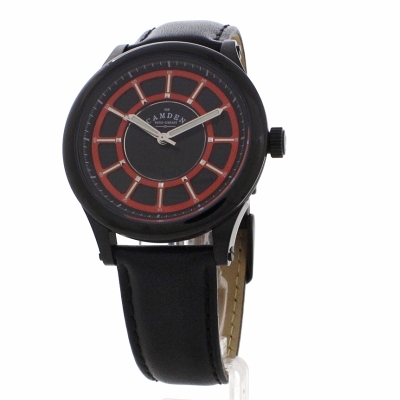 Sign up to receive email updates when new styles of Camden Watch Company are added to Watch Shop!